There is No Minimum Order, but to qualify for free UK delivery we need your order to total at least £100. If your order is less than £100 we will add the appropriate postage to cover our Delivery costs. 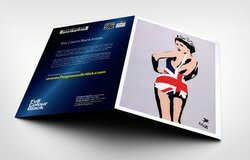 Retailers: Would you like us to post you our brand new catalogue? We have stockists throughout the world and we sell especially well in Bookshops, Stylish Stationers, Contemporary Art Gallery Gift shops and Art Museums. 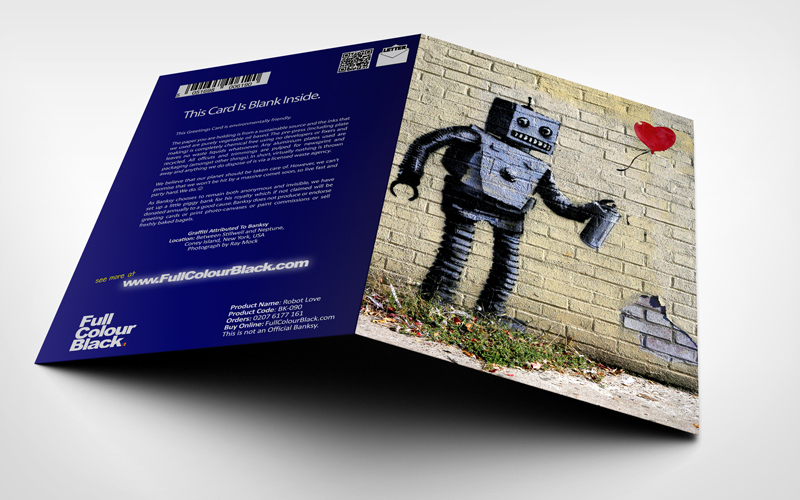 ﻿﻿﻿Our collection of street art Greeting Cards are unrivalled throughout the world; we have pictures that you've probably never even seen before too. If you are a Trade Buyer and would like to stock our cards in your store, just make a note of the Product codes that you require and let us know. Click on any Button to see our cards. 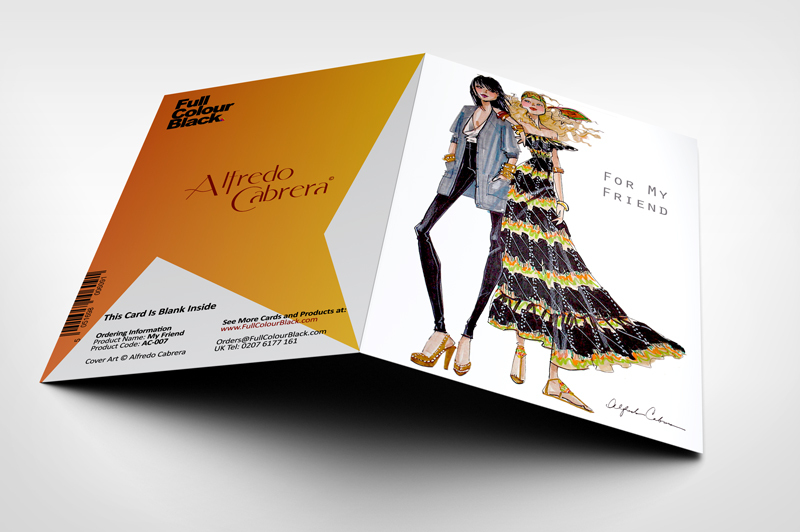 Dedicated followers of fashion will love our range of Alfredo Cabrera greeting cards. Alfredo is one of the fashion world's most prominent illustrators as well as being a tutor at New York's prestigious Parsons Institute where Donna Karan, Tom Ford and Marc Jacobs all trained. This stunning 14 card range are all blank inside, are Everyday Cards and each card is cello wrapped and comes with a colour matched envelope. 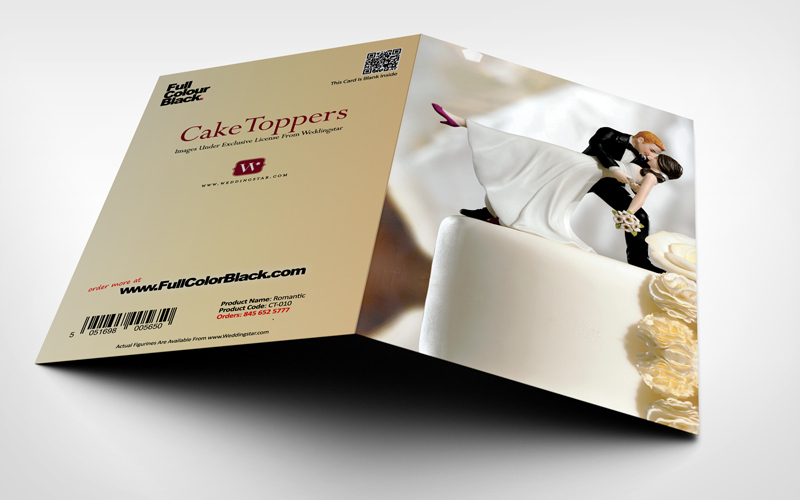 If you are looking for a Wedding Card that has a bit of personality, then our Caketoppers Range is the range for you. All the cards are blank inside and are also popular for use for engagements or those who are want to send a response to a happy couple. Here you will find a card that fits perfectly with the type of couple you know, whether they are a Mature Couple, Bikers or just plain Romantic. Pegasus is the name and signature of a North London street artist who hails originally from Chicago, Illinois. His stenciled pieces play with popular culture's most recognisable icons, such as the Royal Family, Marilyn Monroe, Angelina Jolie and Madonna. Being talked about as a 21st Warhol, the international media are quick to report on his regular artworks which appear in the most unlikely places. Full Colour Black were Show Finalists at the New York Stationery Show with two of our cards: 'A Storm Is Brewing' card from our Retro Range and also 'Fishnet Legs' from our Photographic range. If you are a Retailer, a printable order form is available at the foot of each page and you'll find this very useful as you compile your order. There is No Minimum Order amount for UK orders, but to get free delivery we need your order to total at least £100 (= 2 x 10 packs or 19 packs). If you order less than this amount we add £7.50 to cover our Courier costs. 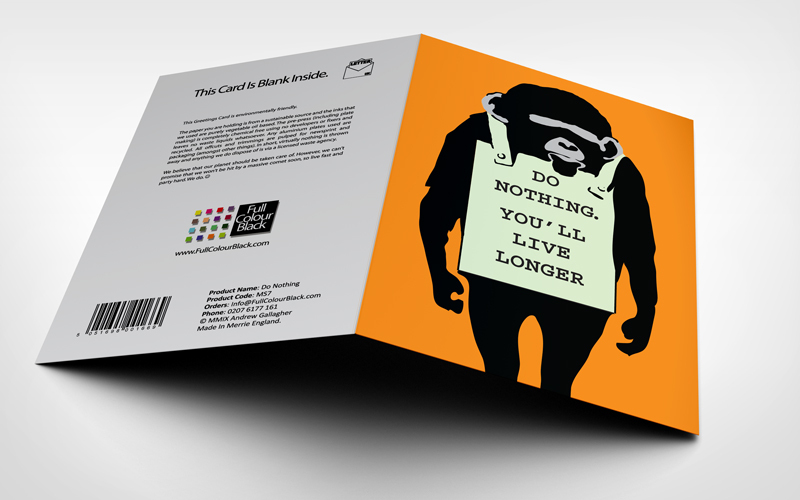 On wholesale orders: our cards are sold in Packs Of Six and they are delivered from our Distribution Centre via Royal Mail 'Signed For' or ParcelForce service.